Um novo tratamento contra o câncer de mama em estágio avançado foi aprovado pela Administração de Alimentos e Medicamentos (FDA, na sigla em inglês) dos Estados Unidos. O medicamento Kadcyla, foco dessa terapia, carrega a droga até o local do câncer para reduzir o tumor, diminuir o progresso da doença e prolongar a sobrevivência do paciente. O Kadcyla é indicado para o tratamento do câncer de mama do subtipo HER2 positivo. HER2 é uma proteína envolvida no crescimento normal das células, porém também é encontrada em grandes quantidades em alguns tipos de células cancerígenas, incluindo câncer de mama. 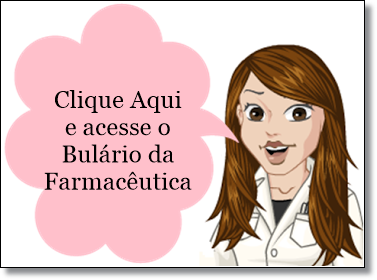 Atualmente, o medicamento mais estudado e utilizado na prática clínica contra este subtipo de tumor é o trastuzumab, um anticorpo criado para agir especificamente em uma região extracelular do receptor HER2 que faz parte da fórmula do Kadcyla. O quarto medicamento aprovado pela FDA que tem como alvo a proteína HER2 - está conectado à droga chamada DM1, capaz de interferir no crescimento de células cancerígenas. 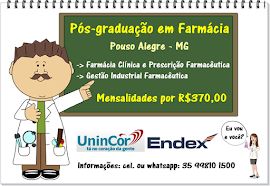 O Kadcyla é indicado para pacientes previamente tratados com trastuzumab e taxanos, uma classe de medicamentos usados na quimioterapia e aplicados no tratamento do câncer de mama. FDA approves Roche's Kadcyla (trastuzumab emtansine), the first antibody-drug conjugate for treating HER2-positive metastatic breast cancer. Roche (SIX: RO, ROG; OTCQX: RHHBY) today announced that the U.S. Food and Drug Administration (FDA) has approved Kadcyla (trastuzumab emtansine or T-DM1) for the treatment of people with HER2-positive metastatic breast cancer (mBC) who have received prior treatment with Herceptin (trastuzumab) and a taxane chemotherapy. Kadcyla is the fourth medicine from Roche to receive FDA approval for people with advanced cancers within the past two years. Kadcyla is made up of the antibody, trastuzumab, and the chemotherapy, DM1, joined together using a stable linker. 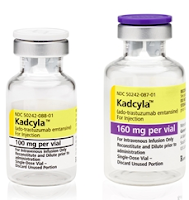 Kadcyla combines the mechanisms of action of both trastuzumab and DM1, and it is the first Roche ADC approved by the FDA. Roche has studied ADC science for more than a decade and has eight ADCs in Phase I or Phase II studies for different types of cancer. Roche has also submitted a Marketing Authorisation Application to other Regulatory Authorities around the world, including the European Medicines Agency (EMA), for Kadcyla for the treatment of people with HER2-positive mBC. This application is currently under review by the EMA. 	The study met both co-primary efficacy endpoints of overall survival and progression-free survival (PFS; as assessed by an independent review committee). 	People who received Kadcyla lived a median of 5.8 months longer (overall survival) than those who received the combination of lapatinib and Xeloda, the standard of care in this setting (median overall survival: 30.9 months vs. 25.1 months). 	People receiving Kadcyla experienced a 32 percent reduction in the risk of dying compared to people who received lapatinib and Xeloda (HR=0.68; p=0.0006). 	People who received Kadcyla lived significantly longer without their disease getting worse (PFS) compared to those who received lapatinib plus Xeloda (HR=0.65, 35 percent reduction in the risk of disease worsening or death, p<0.0001; median PFS 9.6 months vs. 6.4 months). 	No new safety signals were observed and adverse events (AEs) were consistent with those seen in previous studies, with fewer people who received Kadcyla experiencing Grade 3 or higher (severe) AEs than those who received lapatinib plus Xeloda (43.1 percent vs. 59.2 percent). 	For people receiving Kadcyla, the most common (occurring in more than 2 percent of participants) Grade 3 or higher AEs were low platelet count (14.5 percent), increased levels of enzymes released by the liver and other organs (8.0 percent), low red blood cell count (4.1 percent), low levels of potassium in the blood (2.7percent), nerve problems (2.2percent) and tiredness (2.5percent). Kadcyla is an ADC being studied in HER2-positive cancers. It is the first ADC to result from Roche and Genentech’s 30 years of HER2 pathway research and the third medicine Roche has developed for the treatment of HER2-positive breast cancer. Like Herceptin, Kadcyla binds to HER2-positive cells and is thought to block out-of-control signals that make the cancer grow while also calling on the body's immune system to attack the cancer cells. Once Kadcyla is taken up by those cells, it is designed to destroy them by releasing the DM1 inside the cells. Roche licenses technology for Kadcyla under an agreement with ImmunoGen, Inc. 1.) Verma S, et al. Trastuzumab Emtansine for HER2-positive Advanced Breast Cancer. N Engl J Med 2012; 367:1783-1791. 2.) Ferlay J, et al. GLOBOCAN 2008, Cancer Incidence and Mortality Worldwide: IARC Cancer Base No. 10 [Internet]. Lyon, France: International Agency for Research on Cancer; 2010. Available from: http://globocan.iarc.fr. 3.) Wolff A.C et al. American Society of Clinical Oncology/College of American Pathologists Guideline Recommendations for Human Epidermal Growth Factor Receptor 2 Testing in Breast Cancer. Arch Pathol Lab Med 2007: 131. 4.) Slamon D et al. Adjuvant Trastuzumab in HER2-Positive Breast Cancer. N Engl J Med 2011; 365:1273-83.